One of the world's biggest potash producers has signed a contract with the world’s largest consumer. 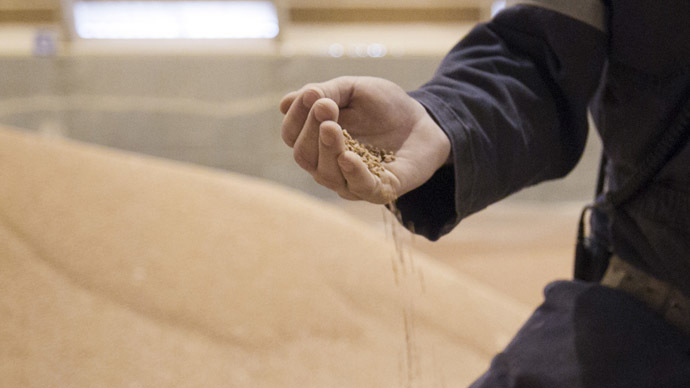 Uralkali Trading S.A, a subsidiary of world’s leading potash producer Russia’s Uralkali has signed an export deal with China to deliver 850,000 tons of potash at $315 per metric ton, the company said on its website. Potash is a nutrient and key ingredient in fertilizer used by farmers. The new agreement means Uralkali will export about 8 percent of its output to China. The deal only applies to shipments made via sea. Uralkali delivers an additional 1 million tons of potash per year via rail. The Russian company will supply the fertilizer to Sinochem, CNAMPGC, and CNOOC from April until the end of the 2015. The 850,000 tons does not include optional volumes, according to the press release. The company wouldn’t comment to Vedomosti on whether there would be optional volumes or not. Last January, Uralkali reduced the price for some Chinese customers to $305 per metric ton, at the time about a 25 percent discount. China is the Russian fertilizer company’s biggest market: in 2014 it accounted for 19 percent of total sales. Belaruskali, Uralkali’s competitor in Belarus and former cartel partner, signed an export agreement with China at the same price earlier this year. Potash prices have decreased worldwide by about a quarter since July 2013, when Uralkali quit its cartel pricing system with Belaruskali. “Now we can expect that Uralkali’s contract price with Indian customers may be at least 10 percent lower than last year’s $322 per ton,” BCS analyst Oleg Petropavlovsky wrote in a note, Vedomosti reported. Uralkali shares are up 31.7 percent in 2015 trading at $15.5 each. On the day of the announcement, Uralkali gained 3.19 percent. In the coming year, Uralkali expects to trim its output by 10.2 million tons due to sinkhole disaster at the Solikamsk-2 mine in the Ural Mountains.